Wooden floors, fairy lights & lanterns, walls shifting slightly in the breeze. 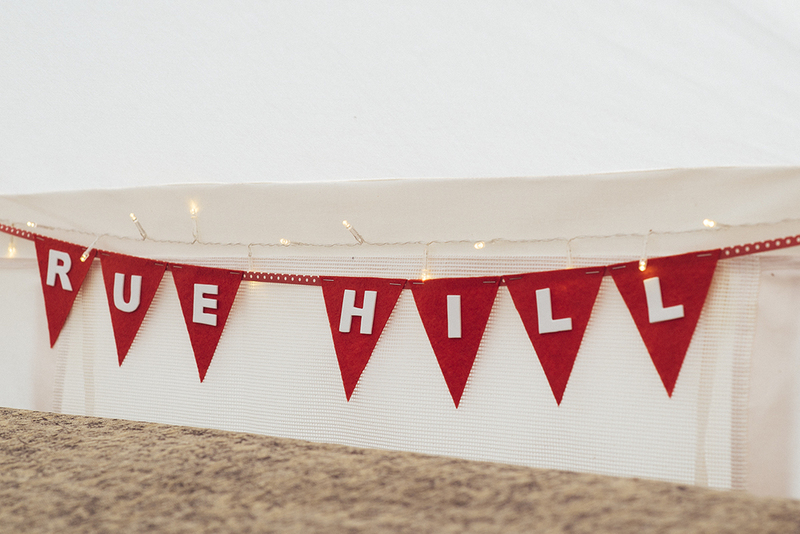 Our big 5m bell tents have their own section of the campsite, bordered by lovely homemade bunting and beautiful views. When staying in our bell tents you will be provided with your own picnic bench and fire pit plus a barrel of logs and some sticks & paper to get your campfire started – all you need bar the marshmallows! 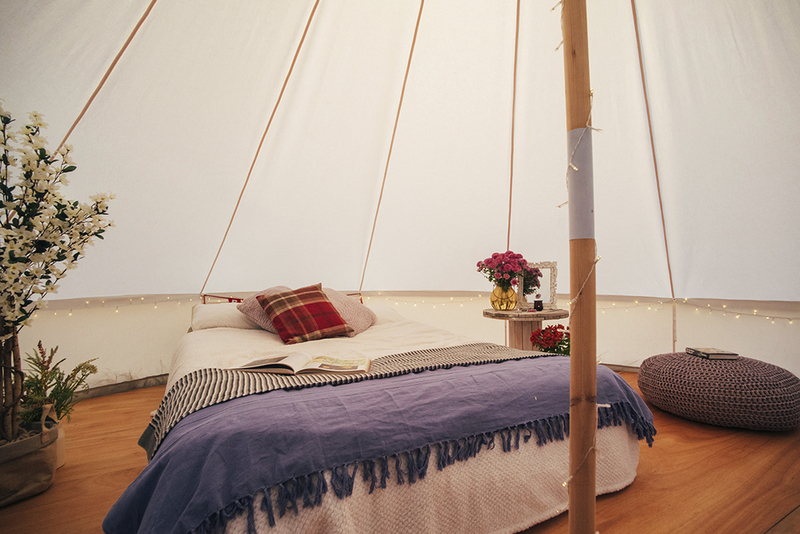 Inside your tent is a double bed with a big comfy mattress, lots of blankets, rugs, flowers, a side table, mirror, lanterns & lots of fairy lights. You will need to bring your own bedding & cocktails– I would recommend a snuggly duvet, a sheet, a couple of big soft pillows & a long island ice tea! Sorry but no pets are allowed in our bell tents. 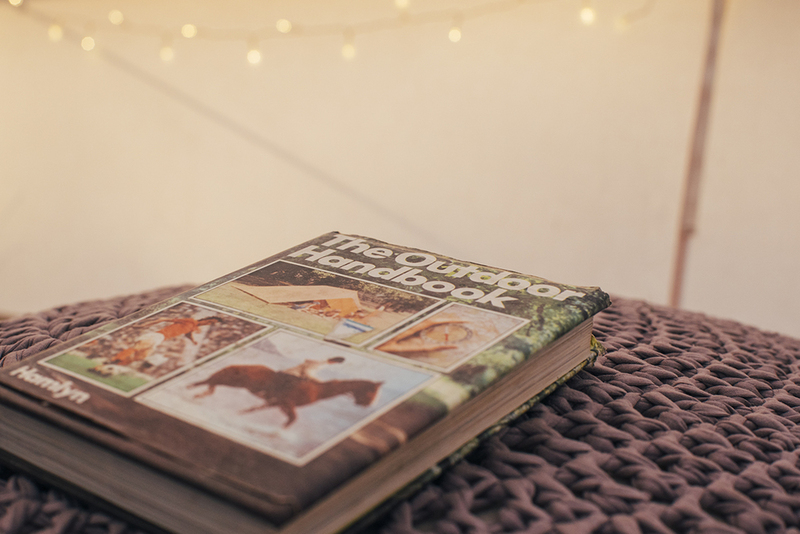 Celebration package available: send us an email if you’re staying for an occasion as we can deck out your bell tent with birthday banners, chocolates, sparkling wine etc on request, ready for an extra special arrival. Our tents accommodate 2 people only. Arrival: 1.30pm onwards. Departure on last day: before 11.30am. We charge £75 per night. Bell Tents Fully Booked 8th to the 17th/19th April.